« Want to Save the World? You Can Start By Enjoying Life. When Sailing the Ocean of Life, It’s Best to Go Where the Wind Blows. Today we ask that you go wherever you are sent. The flow of life is like a great river. It is also like a strong wind. Sometimes you are in a slow, broad, meandering part of the river, and you do not seem to be going anywhere. Sometimes the wind does not blow, and you are becalmed, like a ship at sea with slack sails. Then, suddenly, the wind picks up. You are moving. You are going down the stream. This movement has far less to do with you “making things happen” than you may think. When the wind is calm, you cannot force it to blow. And when the wind blows, good luck trying to get it to stop. When the wind blows, the best thing to do is go with it. Let it move you along. Yes, you can steer the ship — but it would be madness to try to stay still, or to turn into the wind and try to sail in the opposite direction. When the wind blows, when you move into a swift-flowing part of the stream — the wisest course is to let the momentum carry you along. Go where the river flows and the wind blows. Just steer, and keep your vessel upright. Keep your wits about you. You can try to go against the flow, but this will leave you exhausted, and shattered. 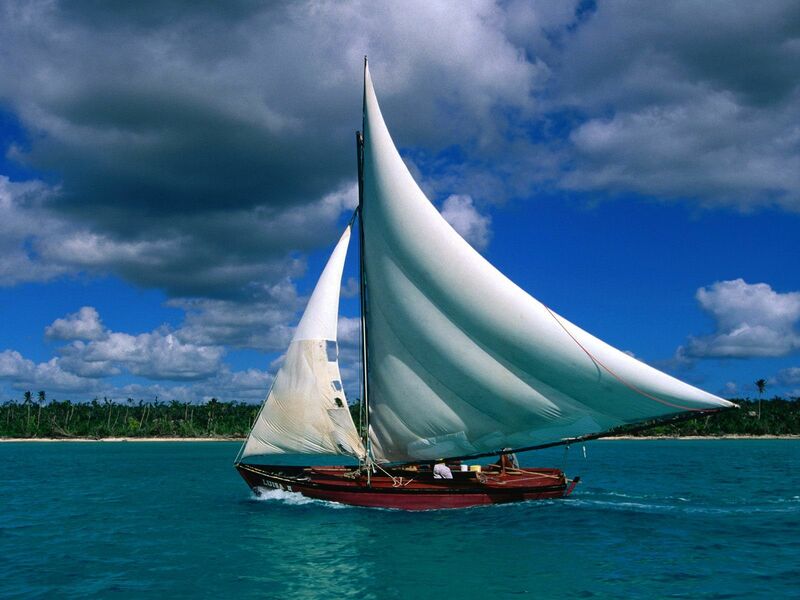 When you raise your sails to catch the wind, however, the experience can be quite exhilarating. Also, it is good to learn how to ride out the calms. When the wind dies down, enjoy the calm. Do not struggle to get things moving when the wind is calm. Then you will just exhaust yourself, and get nowhere. There is a skill to living life that sailors understand. You cannot control the wind, but you can learn to ride it. When the wind blows, go with it. I can’t tell you how much I get from reading your posts- they’re fantastic, and extremely relatable to me at the moment, and I’m sure many others. Thank you so much. Wanted to share the fantastic blog Word From The Well- I cannot begin to tell you how much I get from these posts, they’re all fantastic! Really worth spending some time on this blog! Rachel — THANK YOU for the kind words and support. Really means a great deal. And so good to know that the messages resonate for you. That’s wonderful to hear. Makes me very happy. For what it’s worth, there’s a huge difference between “me” and the voice that’s getting channeled, so the main reason I enjoy blogging this material is that I then get to refer to it as I go through my day and my own “life dramas,” as they call them. The fact that other people are getting something out of it is a pure pleasure for me.